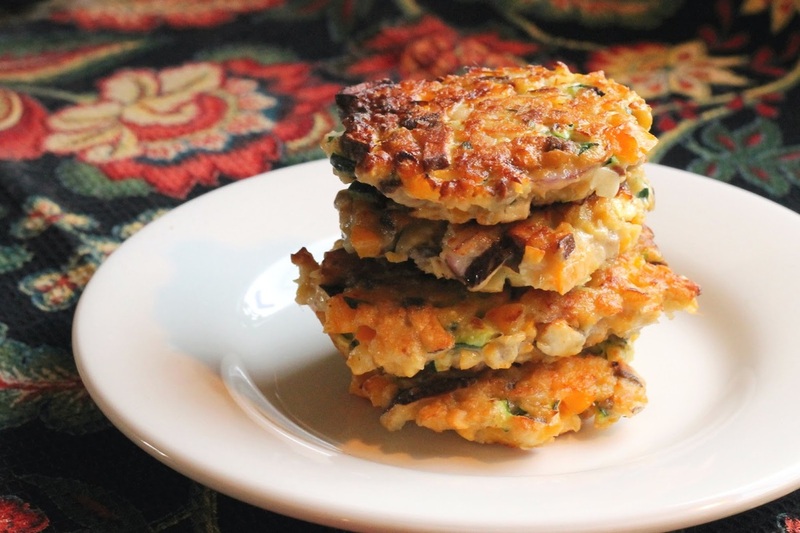 A Fritter is a name applied to a large variety of small fried cakes, both savory and sweet, found worldwide, usually consisting of seasonings, vegetables, fruit, meat, seafood, cheese or other ingredients combined with a batter or breading and fried. Here in St. Maarten, Banana and Pumpkin seem to be the most popular sweet fritters. 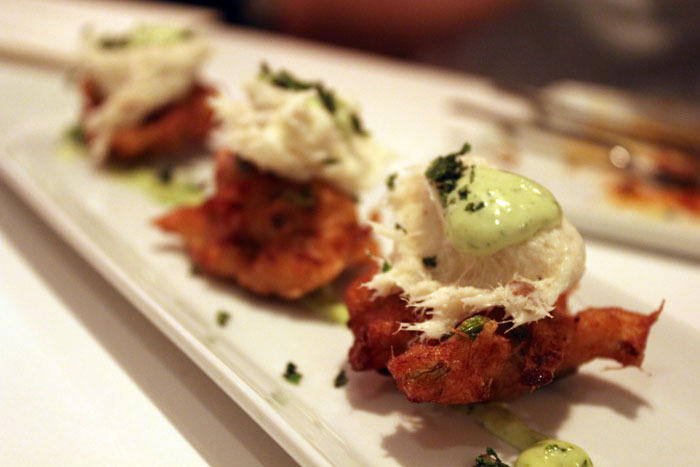 Fish Fritters, Crab Cakes and Corn Fritters are popular savory options. 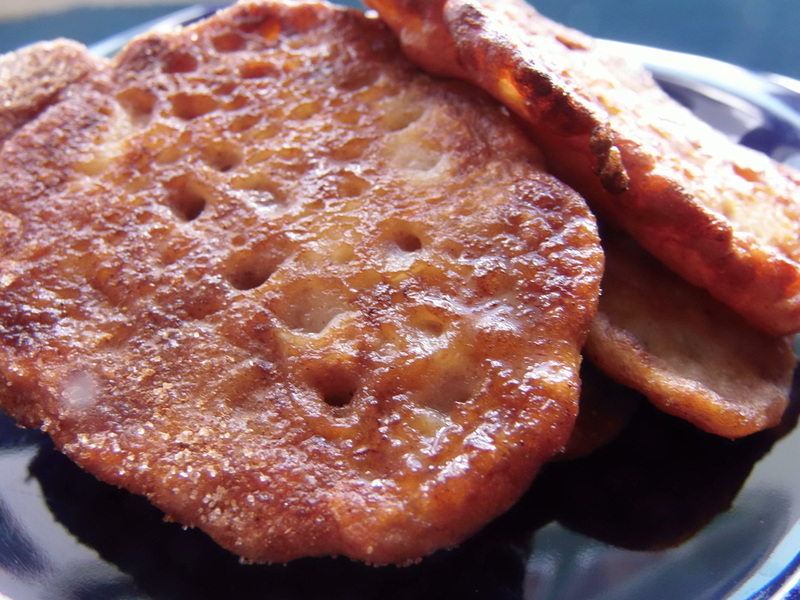 The Banana Fritter is a small sweet pan-fried fritter made from a mashed banana batter. These sometimes contain raisins. The Pumpkin Fritter is a small sweet Pan-fried fritter made from a mashed pumpkin batter. 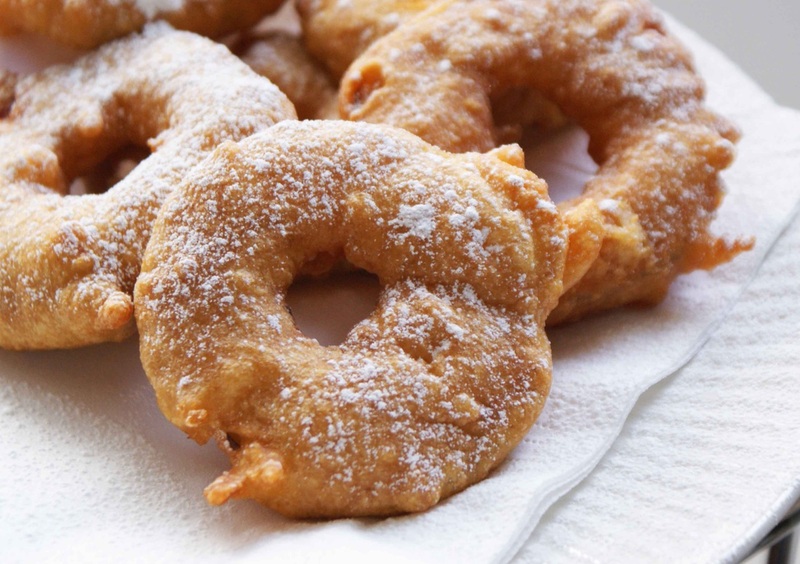 An Apple Fritter is a whole slice of Apple dredged in batter and fried. 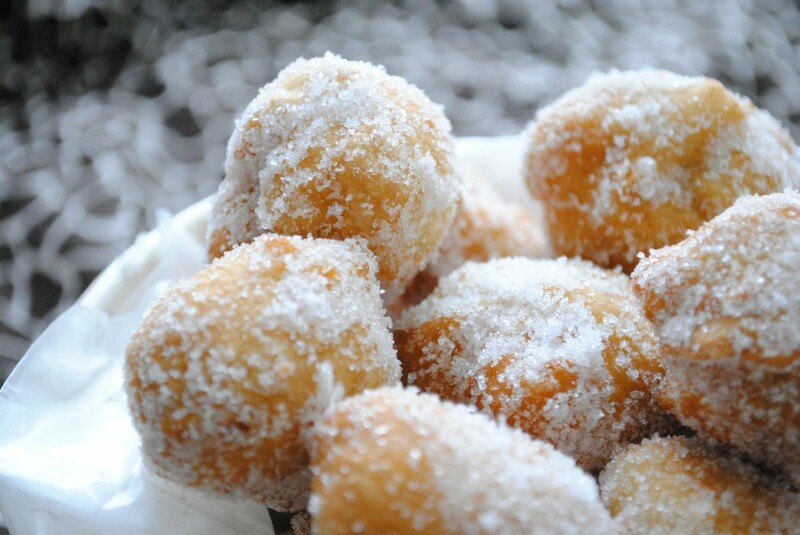 Oliebollen are a traditional yeast dough fritter from the motherland. They are traditionally eaten on New Year's Eve in the Netherlands, but are also available throughout the year. The batter is usually made ​​of flour , eggs , yeast , some salt and lukewarm milk or buttermilk. Instead of yeast, beer is sometimes used. They are deep fried and are usually coated with sugar. Beignet is the French term for Fritter, it's a pastry made from deep-fried choux paste. Commonly known as an dessert popular in the deep South of the U.S. served with powdered sugar on top. They can be savory dishes as well and may contain meat, vegetables, or fruits. 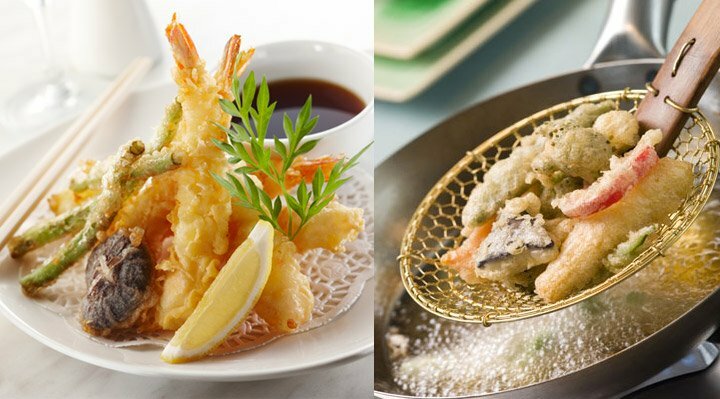 Tempura is the Japanese version of the Fritter, it is distinguished from many other battered and deep fried foods by being much lighter and tending to carry less grease. 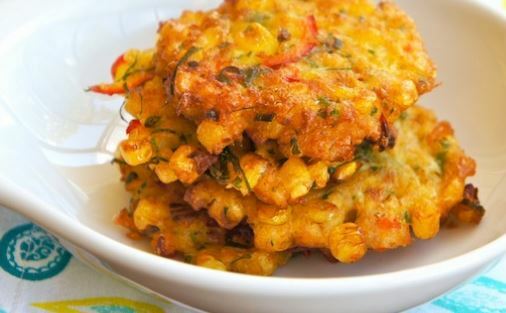 ﻿﻿Allcapurrias ﻿﻿are fritters made from the starchy dough of tubers or vegetables, filled with spicy picadillo, and fried. 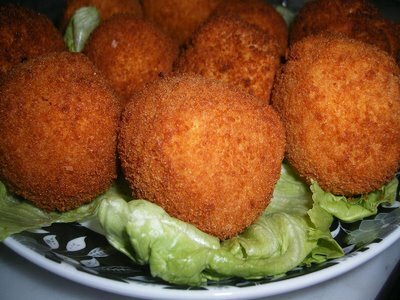 ﻿Rellenos ﻿de papa are mashed potatoes stuffed with picadillo or cheese, then deep fried. 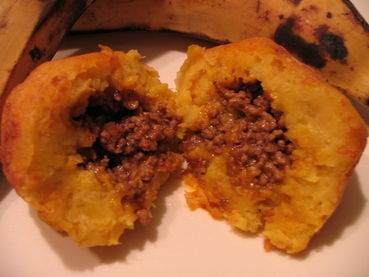 Plátanos rellenos are mashed sweet plantains stuffed with picadillo or cheese, then deep fried. The Dutch Kroket is typically cylindrical in shape, a meat ragout (most commonly using beef, beef broth, flour, butter or margarine, onions, herbs) is coated in breadcrumbs and deep fried, it is very crispy and crunchy on the outside, super soft and smooth inside, with chunks or strands of meat. Kroketten have long been an economical way of using leftover meat stews and roasts. In addition to classic Dutch Kroket fillings, such as beef- or veal Krokets, there are other fillings like Shrimp (Garnalen), Cheese (Kaas), Potato (Aardappel), Chicken Satay (Kipsate) or Goulash (Spicy Beef), as well as Indonesian-inspired fillings like Bami noodles, called Bamibal and Nasi rice called Nasibal. Broodje kroket, a croquette on a bread roll, is sold in restaurants, snack-shops, and even by street vendors. The popularity of the kroket in the Netherlands is such that even McDonald's sells their version on a bun as "McKroket"
The Bitterbal, a small round version of the croquette (usually beef or veal), is a popular bar snack. Accras are most often made with salt fish, but shrimp or some type of peas or beans are also used. Most of the Caribbean countries have some type of accra, though the name may vary from one place to another. Bacalaítos are fish fritters made from a pancake-like batter containing salted codfish, flour, water or beer, sofrito, spices, and herbs. Kachori are crispy Indian snacks that are stuffed with assorted spiced fillings. Vada is a traditional South Indian fritter known from antiquity. Pronounced 'Wah-da', it is a traditional food preparation from southern India. They are typically deep-fried in oil and served with savory accompaniments.